Handling virtually any mail type is a challenge faced almost daily. 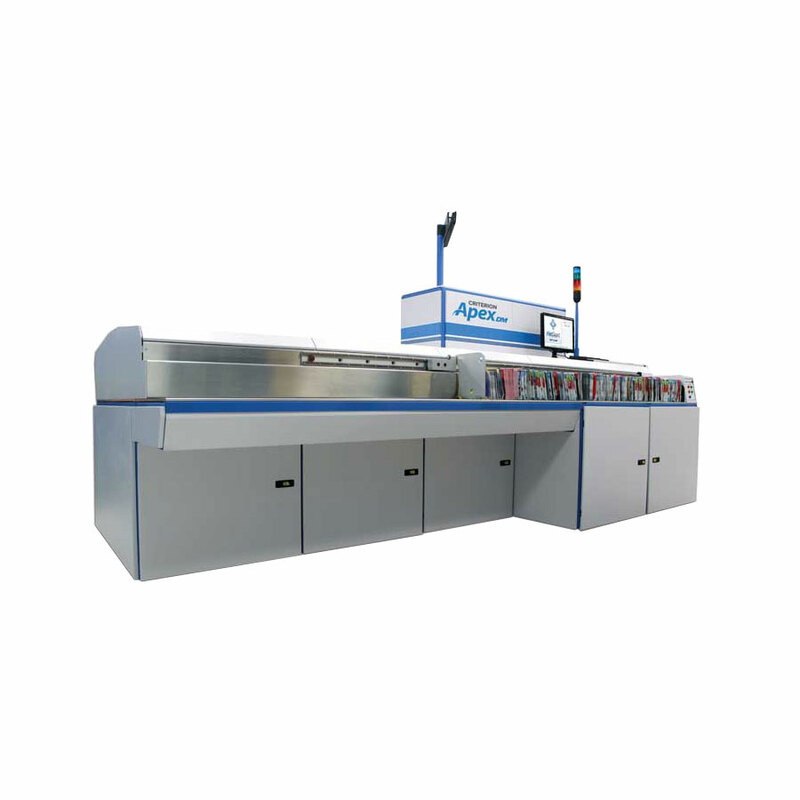 With the newest hardware and software upgrades to our Criterion Apex® sorter, we are pleased to introduce the Criterion Apex DM sorter into the direct mail environment. Until recently, it was not efficient, or even possible, to attempt sorting certain types of mailpiece designs. We’ve changed that by introducing technology into the Criterion Apex DM that allows you to easily sort heavyweight, heavy-letter, slick/glossy, tall mail and much more. With operating speeds up to 72,000 pieces per hour, the Criterion Apex DM gives you the ability to process more of your mail than ever before. Extensive features for pre-sorters, including mail.dat® preparation and interface to PostalOne! NetSort software supports our Digital Co-mingle workflow by integrating with our BCC Mail Manager™ postal software, helping you to optimize address quality and postage discounts. Optional extended magazine (up to 3,000 envelopes for 1-oz envelopes) With over 30 years of experience, we have been designing and developing leading-edge sorting solutions based on your operational needs. We are dedicated to increasing your quality and efficiency, decreasing your costs and reducing your risks by developing modular, reliable and flexible production mail solutions, like the Criterion Apex sorter.